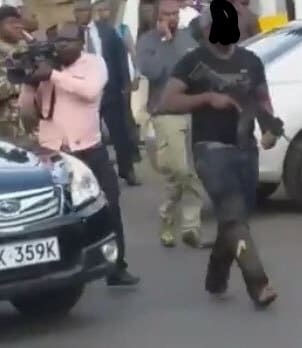 Details have emerged about a photo doing rounds on social media of a cop who resembled one of the attackers at Dusit D2 Hotel at 14 Riverside Drive. 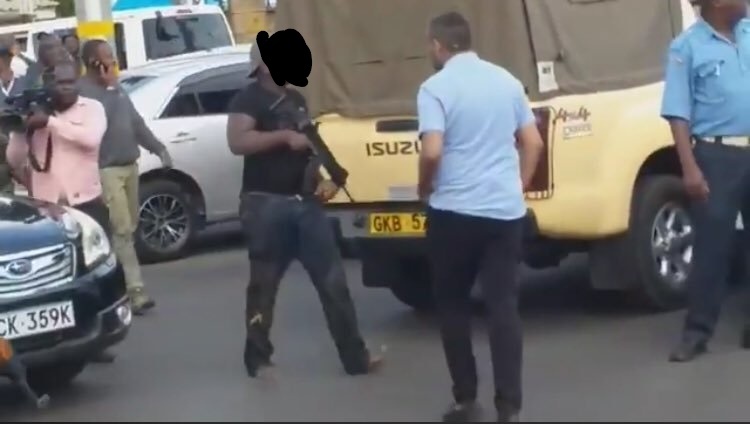 Sources within the police indicate that the officer identified as James works under the intelligence service, and he was not one of the attackers as alleged by a section of the public. The officer was among the first security detail to be deployed at the premises immediately after the attack, and was commissioned to man the footbridge near a sewer line. While there, they came under attack by a sniper of the terrorist, forcing them to take cover. James fell on the sewer line and his shoes were left there, explaining why he had to continue with the operation barefoot. 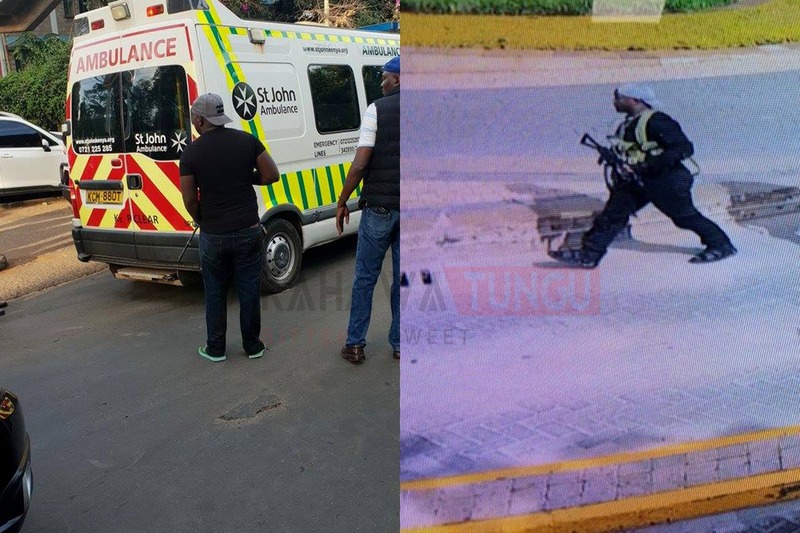 This also explains why the soldier was limping while escorting a police car from the scene. A high placed source explains that he later got bathroom slippers from a good Samaritan after hours of operation. He would later meet a former MP (whom we cannot mention for lack of consent), who sacrificed his shoes for him. According to our source who sought anonymity, the officer did not leave the scene of the attack up to the time of going to press. 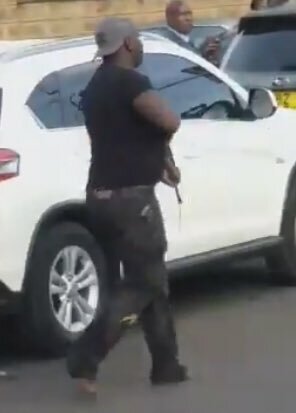 Efforts by Kahawa Tungu to talk the officer (James) did not bear fruits and we could only rely on sources within the police ranks.